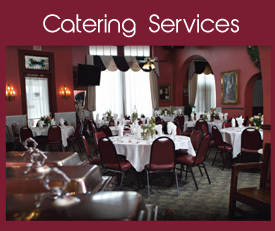 K&J Catering is a full catering service from St. Paul, Minnesota. We service events throughout St. Paul, Minneapolis and the surrounding Twin Cities area in addition to our two banquet venues located in North St. Paul. K&J Catering has been family owned and operated since 1984. We specialize in buffet style catering. We pride ourselves on our delicious home style cooking, quality service, and affordable pricing! 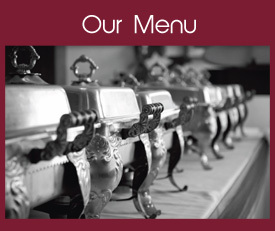 K&J provides a variety of buffet style menus. Whether you are looking to have catering for your wedding or a picnic for a corporate event, K&J offers a variety of menu options that can be customized to fit the needs of your next event. 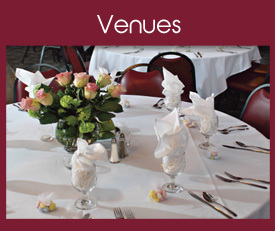 K&J offers two of their own banquet venues in the Twin Cities. K&J’s Celebration Room offers seating up 250 and K&J’s Victorian Room offers seating up to 100. K&J also provides catering services off-premise at a venue of your choosing. K&J provides full catering services for any event. In addition to offering full service, staffed catering, K&J provideds delivery only options. K&J is fully licensed and insured to provide bar and beverage catering services throughout the Twin Cities area.